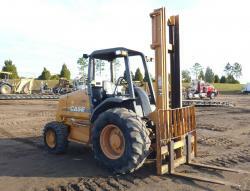 This Cat forklift with an 8,000 lb lift capacity works effortlessly and productively, whether you handling industrial materials or shipping products. 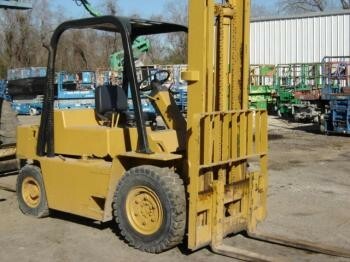 8000 lb cap, 18'mast, Perkins diesel. 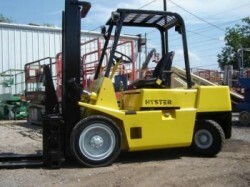 Features include a two-stage mast, hydrostatic steering, and low-effort braking. It has a top speed of 12 mph and a mast lift height of 117 inches (its lowered mast height is 83 inches). Dimensions include: 120-inch length, 55.7-inch width and 88.6-inch height. The fork dimensions are 60 by 5 by 1.5 inches. 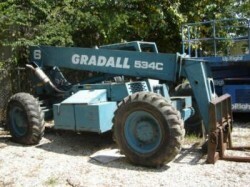 8000-lb capacity, 42' reach, 4X4, crab steer. 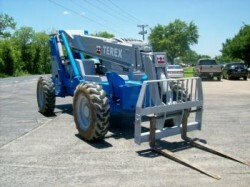 6000 lb capacity, 36' reach, 4X4, crrab steer. 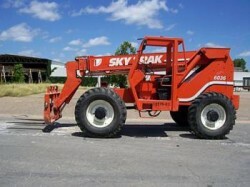 Straight mast forklifts. Fork positioner, new paint and decals. Diesel, side shift, 21' mast. New pins and bushings, 36' reach. 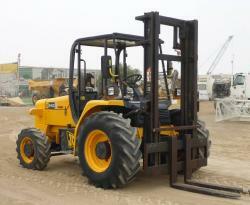 JCB Rough terrain forklifts available for sale. 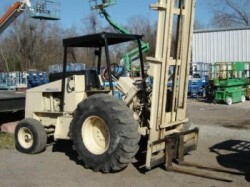 CASE rough terrain forklifts for sale.